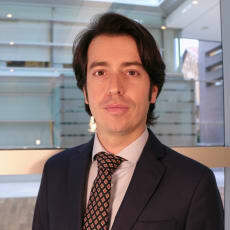 Álvaro Manteca is a principal associate in the tax practice area of Garrigues’ Madrid office specialised in the private equity sector and accounting law. He is also a member of the tax team specialising in mergers and acquisitions and restructuring transactions, and forms part of the French desk. He has extensive experience in the structuring of transactions for the acquisition, restructuring or divestment of both Spanish and multinational companies, by international and national private equity funds. He is a member of the Garrigues private equity multidisciplinary group taking part in numerous seminars and industry analyses. He provides tax consulting services on a regular basis in relation to leveraged buyouts, tender offers, stock market flotations, management buyouts and operations for the refinancing of national or international groups. He also provides ongoing tax advisory services to international groups, with a particular focus on the media and telecommunications, information technology and automotive sectors.